Rina's Rainbow: This is THE CHOICE: A People's Choice Restaurant Awards! And YOU Can NOMINATE and VOTE! This is THE CHOICE: A People's Choice Restaurant Awards! And YOU Can NOMINATE and VOTE! Okay so guys, this is it! You can vote for your favorite restaurant to help them win THE CHOICE Awards! The popular vote, if you will. 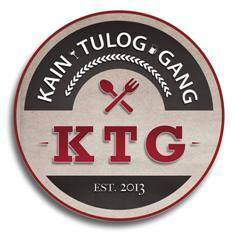 So, Our Awesome Planet and the Blogger Collective known as the KTG (Kain Tulog Gang) have partnered to conduct the first ever People's Choice for their Favorite Food, Restaurants, Bars, and more~ or simply, "The Choice". We conducted an intense first round of voting among ourselves, and our resulting Top Tens have made us very pleased: we feel it's a very diverse and fair representation of all our Metro Manila favorites. The categories are very broad, as they should be in a democratic vote. However, we'd like to emphasize that this is NOT a "Best of..." list. Our good friends and respected colleagues from The MBKRS are doing an excellent job of recognizing the restaurants and restaurateurs in their prestigious bi-annual awards. The MBKRS are rightly regarded as the Oscars of our ever growing foodie community. So we'd like "The Choice" to be the Golden Globes~ a bit more irreverent, surely less formal, and yes, it ought to be greatly biased. After all, YOU will be voting for your favorites, this is YOUR CHOICE!!! 1. For the Favorite New Restaurant category, our coverage period includes restaurants that opened between May 1, 2014 to April 30, 2015. 2. For the Favorite Out-of-Town Destination, the restaurants must be reached by land in 5 hours; thanks to the TPLex, that includes Baguio! 3. There are 45 questions in this survey and answering this survey should take around 5-10 minutes. It is best to give a definitive answer on each question and feel free to skip if you can't decide. 4. All answers are treated confidential and final once you click on the submit button. One survey response for one person only. 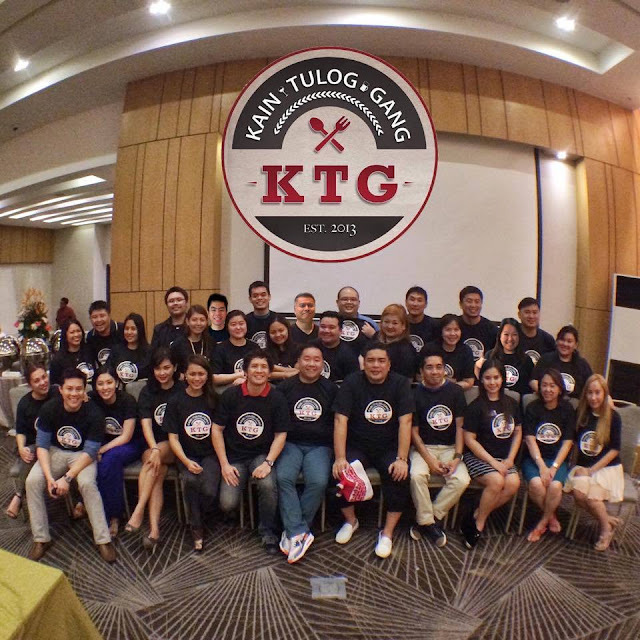 The KTG is composed of some of the more senior food bloggers in the country, including Richie Zamora of "The Pickiest Eater in the World', and Richard Co of 'Tales from the Tummy'. Representing the younger generation are "The Hefty Foodie", "The Food Scout", and "Nines vs. Food". And from the world of showbiz, Mr. Chuckie Dreyfus, a foodie who's also a respected tech blogger. and the Philippine Star's "Let's Eat" magazine, now nationwide every last Sunday of the month. Our Awesome Planet, the Philippines #1 Food and Travel Blog and Kain Tulog Gang (KTG), a collective of the top food and lifestyle bloggers in Manila, in partnership with World Food Expo (WOFEX), the Ultimate Food Show Experience in cooperation with Vikings, NIU, and Four Seasons restaurants present the first BLOSOMEX (Blogging and Social Media Expo) on August 8, 2015 Saturday at the SMX Mall of Asia. Blogging and Social Media Expo (BLOSOMEX), co-located event of the country's biggest and most effective food show, WORLD FOOD EXPO (WOFEX), focuses on exploding the commercial activity in the blogging and social media scene in the Philippines in 2015 and beyond. Blosomex aims to be the catalyst in preparing both the businesses and the bloggers/ social media practitioners to take commercial advantage of the digital opportunities. Keynote: "State of Food and Travel Blogging in the Philippines"
Keynote: "Food is the Reason YOU Should Travel : Viral Video Blogging in the YOUTUBE Era"
The Global Filipino Fiesta: "The Value of Social Media and Blogging in Promoting Philippine Tourism Worldwide"
1:00pm to 2:00pm: VIBER and INSTAGRAM Presentations:"The Future is on The Move; Social Media's Dominant New Directions are on Instant Mobile Apps"
2:00pm to 2:30pm: Spanky Enriquez, Marketing and Social Media Consultant "Restaurant Industry Engagement in the age of Digital Influencers"
2:30pm to 3:00pm: Richie Zamora, My husband, and Founder of www.thepickiesteater.net "Romancing Generation NeXt : Reaching out to the Millennials"